As I awoke early on a recent Saturday I heard newsman Joe Bartlett on his WOR 710 radio program interview Dr. Blake Cady, professor emeritus of surgery at Harvard Medical School and Mass General. 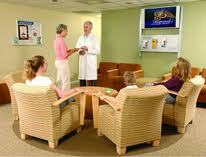 The doctor shared highlights of a study about mammograms and his findings about the age women should begin having them. His conclusion—they should start at 40–represents a 10 year difference from what experts previously touted. While earlier screening doesn’t prevent cancer it has a dramatic impact on dying from it—far fewer women do. Doheny reported that more than 70 percent of breast cancer deaths in the study of 600 women happened in mostly younger unscreened women—those who never had a mammogram or had one more than two years before diagnosis. The specter of insurance wasn’t mentioned either during the radio interview or in the healthday.com article but I fear that five mammograms over 10 years multiplied by women in the 40 to 50 demographic– and who will pay for them–[once again] enters the picture at the cost of lives. Aren’t patients better off being anxious about a false-positive than not having the test and having a cancer go undetected and untreated? The task force appears legitimate so I hesitate to sling arrows yet I wonder if insurance considerations are lurking in the background. 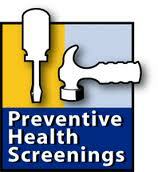 Do you schedule regular health screenings according to your doctors’ or public health recommendations? This entry was posted on Thursday, September 19th, 2013 at 10:02 am	and is filed under Health, Health Screening, Medical Care	. You can follow any responses to this entry through the RSS 2.0 feed. You can leave a response, or trackback from your own site. I schedule health screenings according to what my doctors advise. They seem to know how often such screenings should take place, based on insurance-company willingness to fund them. I am always cynical and mistrusting of Committees, Task Forces and even doctors wishing to spare patients the anxiety or possibility of false positives. I also know from life experience that so-called “independent” groups and unfortunately even individuals can consciously or not be less than impartial in drawing their conclusions and emitting their mandates and guidelines for medical care. Furthermore it is difficult to not note the prevalence of cancer of all forms in ever increasing numbers. We seem to be unable to revise our thinking and provisions for healthcare in general and preventive care in particular, so that we offer what most other countries of varying economic levels, offer, which is some form of universal health care. The merits of regular mammograms, especially for younger women can only be debated from a point of view of financial concerns. The idea that avoiding preventive identification of a life-threatening ailment might be more stressful than testing for it with a resulting false positive seems fairly absurd. And after all one can and should always have a second opinion. That of course would generate more expenditure, even though lives might be saved. The only unfortunate element that could come into play against over testing would be the profit motive involved in doctors who derive income from the tests. It would be most judicious to accept that for self-serving interests an expenditure of more care relieve a fair amount of stress and would be most economical. Apart from incalculable loss for the family, the acute care needed to try to save a patient very ill with breast cancer must cost more than a mammogram. The government finds money for so many things such as war, mopping up after financial scams that impact the country, it baffles how people can shrug off paying for such critical prophylactic measures. Clearly the issue is money, or is it? My wife has a mammogram every year. It costs $900.00. If each of the approximately 25,000.000 women between 40 and 50 living in the USA had a mammogram once a year, I recon the cost would be $22,500,000,000 a year. Who is going to pay for them, and what would the money spent on them, not be spent on? I am over 65, supposedly affluent, and in the Medicare “donut.” One doctor prescribes for me six pills a day of a pill which costs $10.00 a pill. If I skip taking some of the pills, I suffer some slight additional discomfort, but, as far as I can find out, no meaningful long term consequences. To save money, I cheat on how many pills I take a day. I do not tell the doctor because I’m embarrassed to tell him that I would rather spend my money on something other than buying medicine. I suspect I am not the only one who cheats on caring for themselves in ways like this. I realize that this will seem heresy to many, but I believe that the time has come for mankind to start spending less money on trying to prolong life, and, instead, more on improving the quality of the lives the living now lead. A few dollars not spent on doctors, tests and medicine could pay for a lot of children (and their parents)learning how to eat well. MT brings up an excellent point. In addition, it has often been said, though not proved, that cancer is often brought on by undue stress. Using cancer to scare people is a fine way to bring it on. 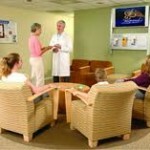 In addition, the way mammograms are conducted may in itself be harmful in more ways than one. I get the feeling that your wife goes to a Rolls Royce type of doctor. You can get a mammogram for no more than $200–usually far less–in reputable places. That said, perhaps she should go to one of the cheaper doctors so you can take your medicine. When given antibiotics you are always warned to finish the entire amount prescribed and not to stop even though the infection seems to have cleared. I suggest that you stop fooling around as you are not fooling anyone but perhaps yourself if you think you can stay well and not take what the doctor prescribed. It can be downright dangerous to do that in fact. Had you been saved by a test I think you might sing a different tune. You must be a fortunate person not to have needed any to find something at 65+–not even an x-ray for a cavity? Last, the doctor is not speaking of prolonging lives of 98 year olds but of 40 year olds many of whom are at the tops of their careers, have children who depend on them and should live at least another 40 years to contribute to their communities and families. I’m for fighting to eradicate the disease as well but until that happens, I’m also in favor of detecting the kinds of cancers that can be removed and then having them removed so that people can live an average life. And who knows…maybe the team that has figured out the detection part of the equation discovers something to come up with the cure. As for the experts, maybe it’s the word that you dislike. For those who don’t have a doctor but are in a system with many, guidelines determined by specialists in a field are helpful. The guidelines also help doctors, generally in poor communities, who continue to care for people with all sorts of maladies while the rest of us go to one for hangnails and another for eyelashes.